Don Connelly reminds individual investors that even though the world is constantly changing, the reasons for investing stay the same. 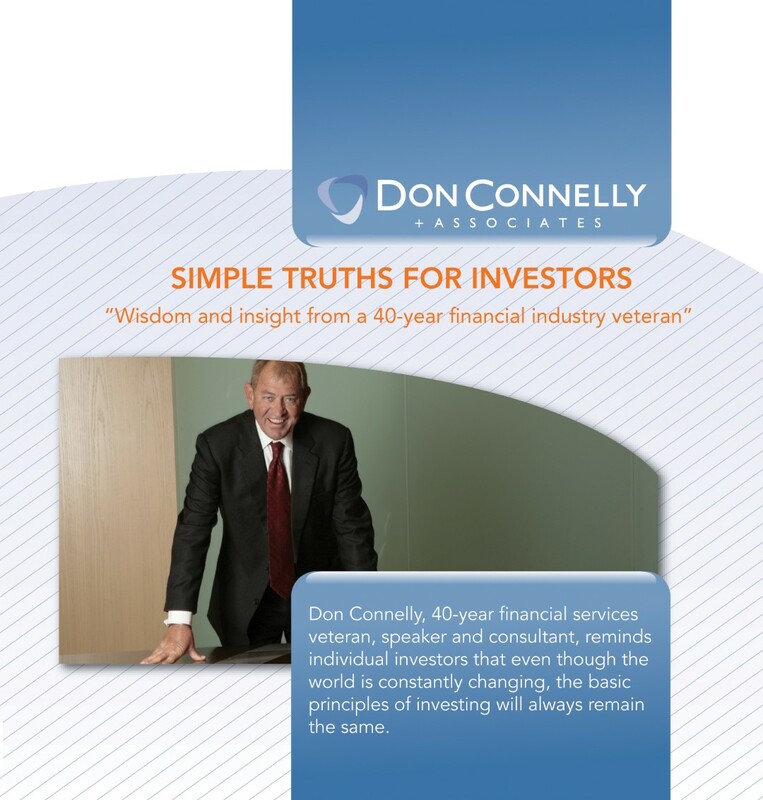 In his CD, Simple Truths for Investors, Don tells you exactly what to say to your clients. He gives ideas on stories and phrases you can use with them. 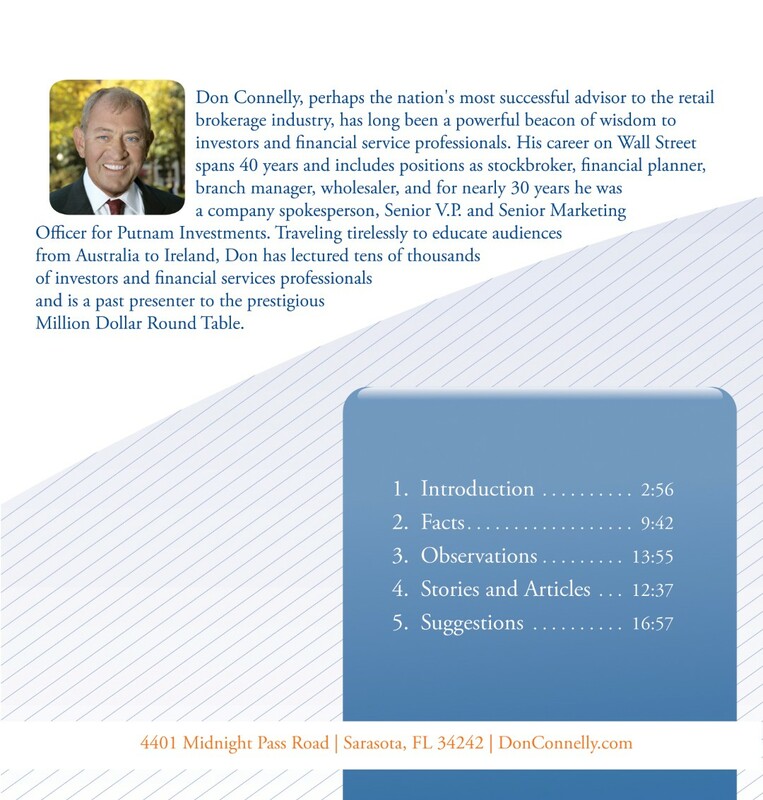 Or better yet, now you can have Don speak directly to your clients by giving them this investor CD. SPECIAL NOTE: Make sure you get approval from your compliance department before sending to clients. Call 941.346.1166 for bulk pricing options. Don Connelly reminds individual investors that even though the world is constantly changing, the reasons for investing stay the same. In this CD Don tells you exactly what to say to your clients. He gives ideas on stories and phrases you can use or better yet, now you can have Don speak directly to your clients by giving them this investor CD. All good information and ideas brokers can use to help clients and prospects understand in plain English what we are saying. Concepts you can use every day.